My owner didn't find me in the normal fashion. I wasn't found in some Petpet Shop. I never even got the chance to live in a Petpet Shop, making friends with the other Petpets as we all waited to find the perfect Neopet to take us away and love us forever. It was nothing like that. But there is definitely nothing wrong with not being in a Petpet Shop. Otherwise I would've never found my wonderful owner: Sapphire. It was a warm day in Meridell the day Sapphire found me. I know, I know, what was I, a normal Biyako, not painted or anything, doing in Meridell? I didn't have an owner. I don't remember where I really came from beforehand. Perhaps I had been in a Petpet Shop before and just forgot how I got out. Either way, it's not that important. Anyway, as I was saying, it was a pretty pleasant day in Meridell. There was a light breeze, and it was even better because the breeze actually wasn't carrying the stench of the Rubbish Dump. It smelled like berries and fresh air. I was quite enjoying myself. That was when I saw her: Sapphire. 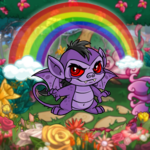 She's a Darigan Mynci, and oh my Fyora! She scared me when I first saw her. A Darigan in Meridell! I know there's a truce, but I didn't think Darigans felt comfortable walking around in Meridell at all. Sapphire, though, looked completely content, and her red eyes were gleaming with warmth and happiness. An odd look for a Darigan, I had thought. Usually their eyes are gleaming with mischief! And yet, even though she looked happy and nice, her pointy teeth and purple skin sent a shock through me. I wasn't used to seeing her type around here. I ran into the bushes. Yes, yes, I already told you that I had been scared! Anyway, I had rain into the bush that was near me. Now that I think about it, it was quite an overreaction. I just wasn't used to seeing Darigans. I had been peeking out of the bush, watching Sapphire walk by the bush without breaking her stride, when I breathed a sigh of relief. That was when she stopped. Either her ears or nose was more sensitive than I had thought, but she knew I was there. I knew she knew I was there. Why else would she stop in the middle of a path, right near the bush I was in? "Hello?" she had called quietly into the bushes. Sapphire had walked over to where I was hiding. She was peering into the bush, her red eyes gleaming with some type of emotion I couldn't pick up on. Boy, those eyes scared me. "Is anyone there?" I waited. Maybe if I did nothing, she would just continue on her way, shrugging off what she thought she saw or heard or smelled in the bush. But I was wrong. "Hello? I know you're in there. Come on out!" Sapphire had said again, her voice light and cheerful. It was strange to hear a Darigan sound so... happy. After all the stories I had heard about them, I had thought that she would be a sneering, growling monster. So I decided to come out of my hiding spot. What was the worst she could do? There were other Neopets walking along this path. I could always run to one of them if she started scaring me. I crawled out slowly, cautiously, not knowing what she wanted from me. Really, why did she have to stop and inspect the bushes? No one else did that. "Well, hello there, little guy," Sapphire cooed in a voice that completely unmatched what I had been expecting. "What are you doing out here in Meridell, hiding in the bushes? Where's your Neopet? Do you need help finding him or her?" "I—I, no, thank you, lady," I stammered. I was completely bewildered by her kindness. A kind Darigan? Who knew! "Thank you, though, but I don't have an owner. I'm just traveling through. I hadn't been to Meridell yet." Sapphire smiled. "Well, my name is Sapphire Dawns. You can call me Saph, or Sapphire, whichever you prefer." She bent down lower so she could inspect me closer up. "You know, I don't have a Petpet either." She gestured to her side. She was alone. "I've been looking for days and days, but I haven't found that perfect Petpet that my siblings keep talking about. Please excuse me if I offend you or if I am too forward, but would you like to come home with me?" I let out a small gasp. Was she asking me if I wanted to be her Petpet? "I—I don't know, I mean—I have no idea why you would want me as a Petpet! No one has wanted me before. I—I mean, I'm not bad or anything, I'm usually well mannered, but I've just been traveling so much I have never really been around a Neopet that hasn't already found a Petpet and everything, no one's really looked at—" I broke off when Sapphire held her hand up and let out a small laugh. It was only then I realized I had been rambling, and I looked at the ground in embarrassment. 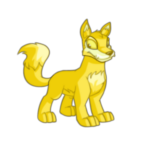 What Neopet would want a talkative Petpet? Maybe that's why no one has asked me before. "Whoa now, it's okay. I was just asking." She smiled. It was a genuine smile. She really just wanted to know if I wanted an owner. I was free to choose. "I will walk away now if I have been too forward. I don't know how to explain myself, but when I walked by this bush I just knew that something was in there—something I needed to find. I didn't know it would be you, but now I realize that I felt a pull towards you because I think you'd be my perfect Petpet." She paused politely, letting that sink in. "My brother Invader told me about the perfect Petpet feeling. He's so smart for a Baby Grundo!" She smiled. "Anyway, that's not the point. Of course, feel free to choose otherwise. If you prefer to be on your own, I shall leave you be." "I—I don't know what to say!" I said quietly. Then I grinned. In all my time wandering around Neopia, no Neopet had asked me this. I was so happy! Would I really have an owner now? Would I belong to someone, feeling loved and accepted? 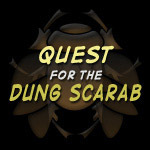 I would no longer be wandering around Neopia by myself! "I—of course! Yes, I would love you to be my owner." Sapphire grinned and jumped with joy. That, again, surprised me. Darigans actually looked nice when they weren't scowling. "Oh my Fyora! Thank you!" she said. "I've been looking forever for the perfect Petpet for me... and I've finally found you! My siblings were right—I know you're the one. I can feel it." And I knew what she was talking about. I had this strange feeling in my stomach. I didn't know how to explain it then, and I still don't know how to explain it now. I just knew what she was saying was the truth—we were meant for each other. Even though it wasn't normal circumstances, she was going to be the best owner ever. I knew it then, and she has proven it to me over and over to me in the present. She named me Zafiro and painted me Darigan as soon as we made it to her owner's house. At first I was shocked; I was going to be a different color! I was going to be a Darigan, to say the least! Then I realized that Darigan wasn't bad. For one, my owner and I would match. Darigan for Darigan—happy Darigans, Darigans with a personality you wouldn't expect if you just judged by what we looked like. Not all Darigans are mean and evil. Maybe people should stop judging based on appearances. Sapphire is the best Neopet ever. No bias, I promise. You'll never know your true pets' worth until they are turned into gold. Here to learn some useful tips that will (hopefully) help you finally win a game of Solitaire! Oh Em Gee I'm M.S.P~!